123 Reg is a leading domain registration and web hosting company in the UK. 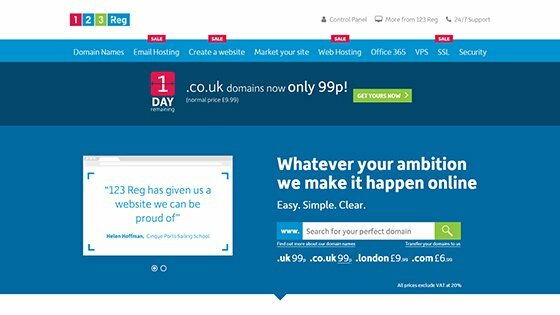 123 Reg are one of the best known and longest established website hosts in the country, and receive very positive customer reviews for their range of services and technical support. They have dedicated packages for Drupal, Joomla and WordPress hosting, as well as offering their own easy to use website builder. Learn more about 123 Reg website hosting.